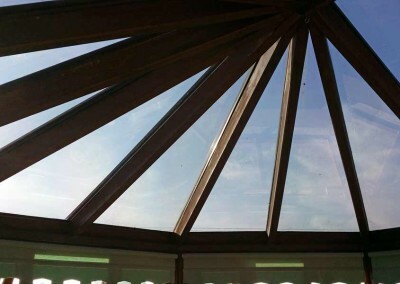 Summer room with a darker neutral film to all upper panes to stop glare. 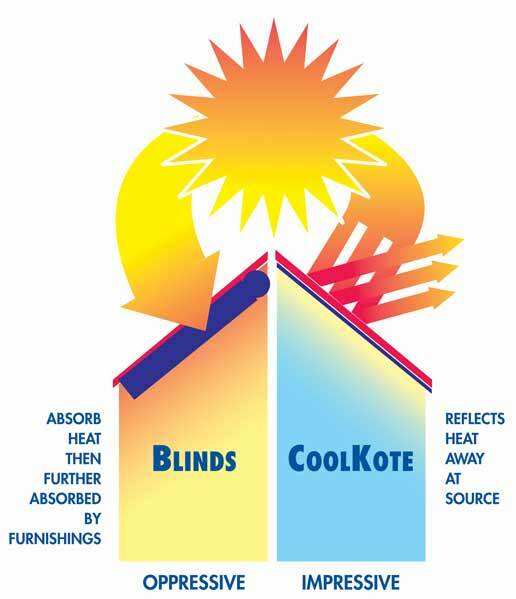 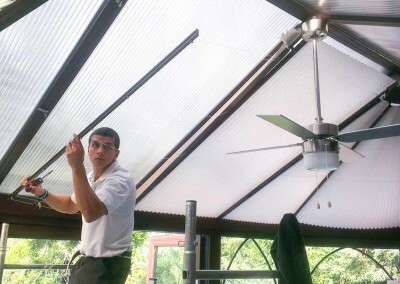 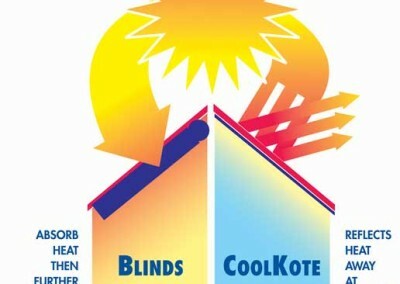 Lighter film to all lower panes to reduce heat and prevent fading. 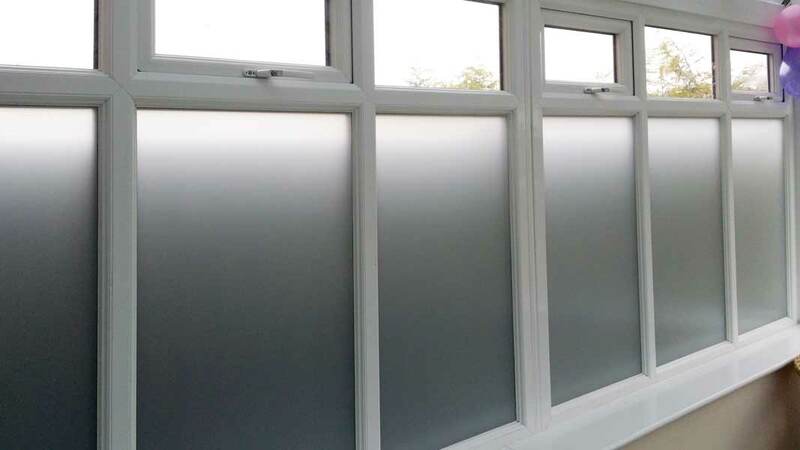 External shot of our Neutral film blending in with other non-coated windows. 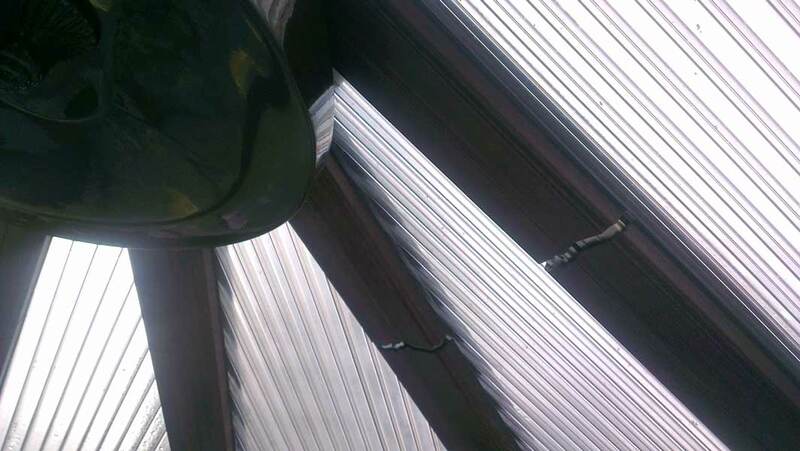 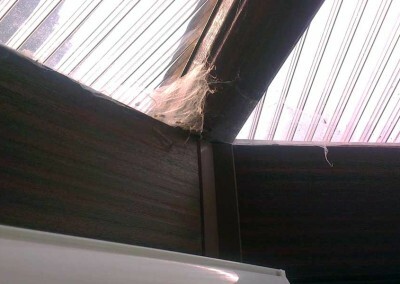 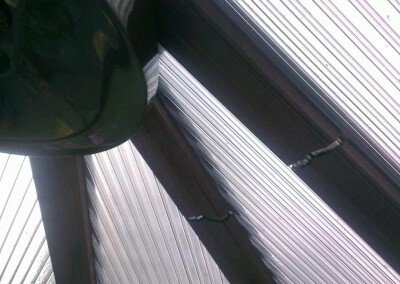 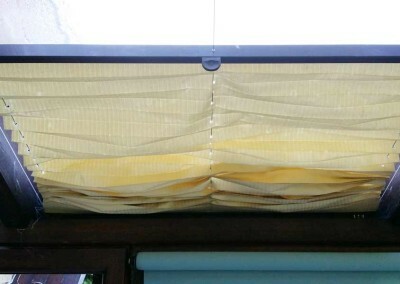 Roof blinds. 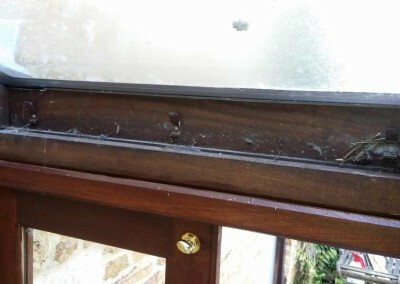 Expensive, hoard dust, dirt and dead flies and more importantly, extremely expensive compared to our films. 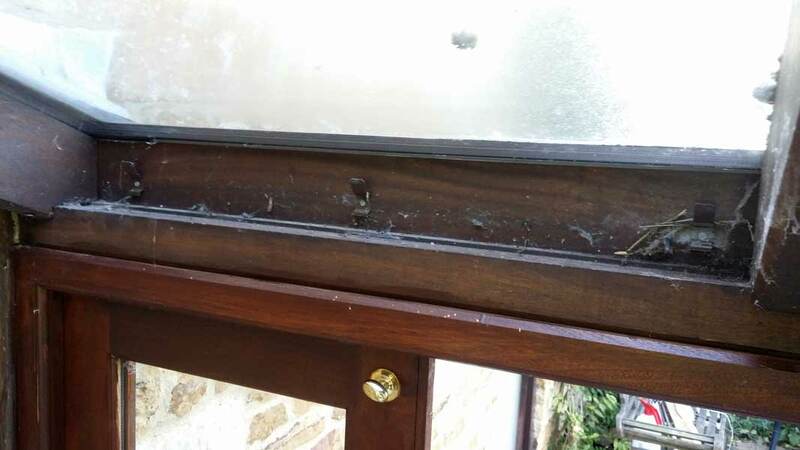 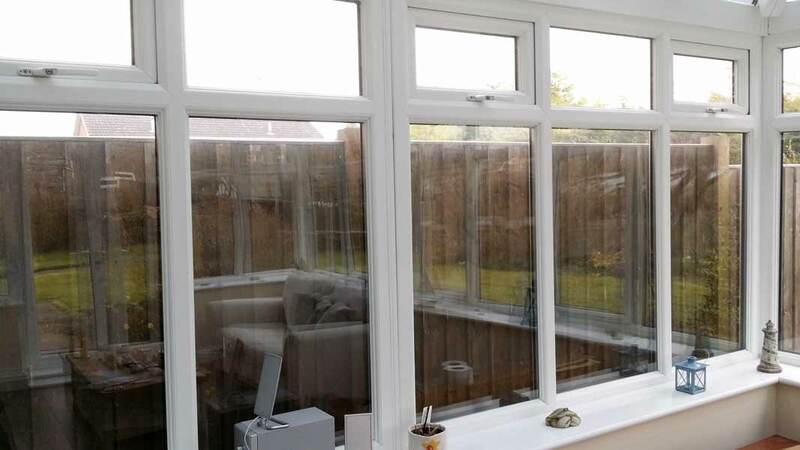 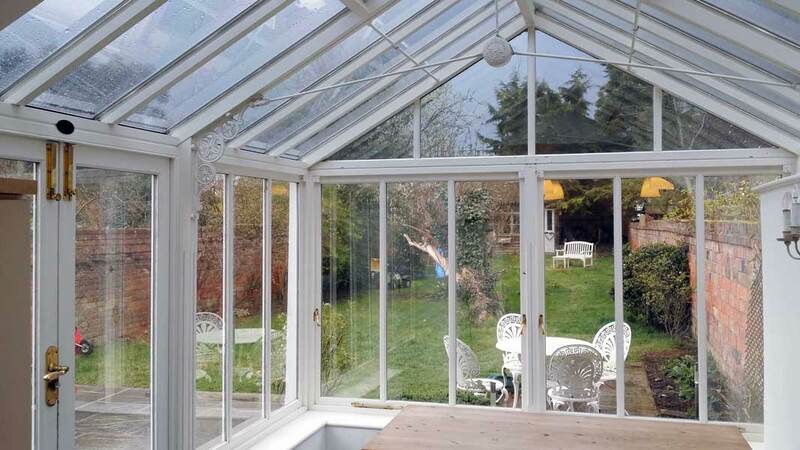 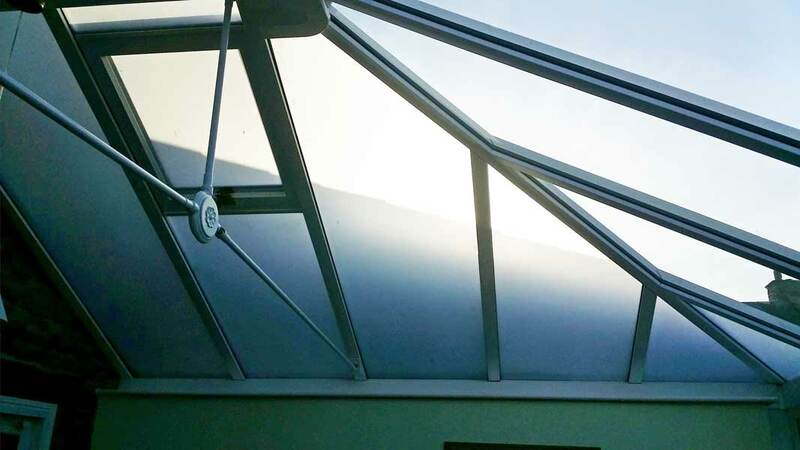 Our window films reflects heat & glare before it enters your conservatory, unlike the cavity between blinds and glass that allows heat build up. 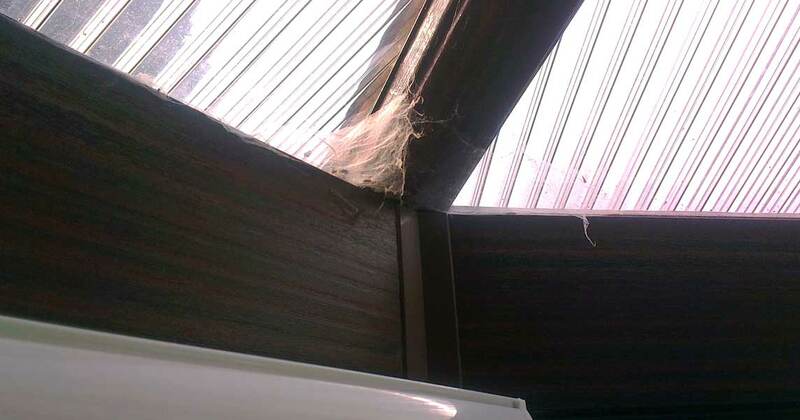 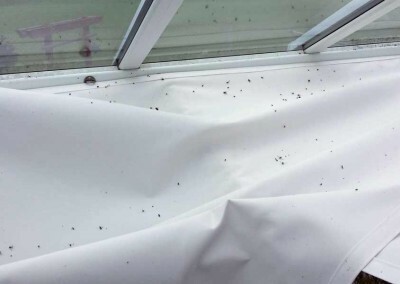 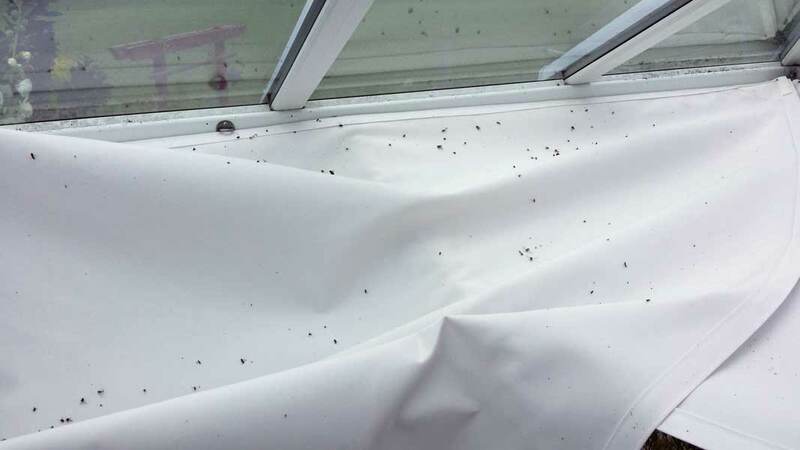 Monthly cleaning is required with blinds, unlike our amazing films that need just an annual wipe over with just soapy water and towelling. 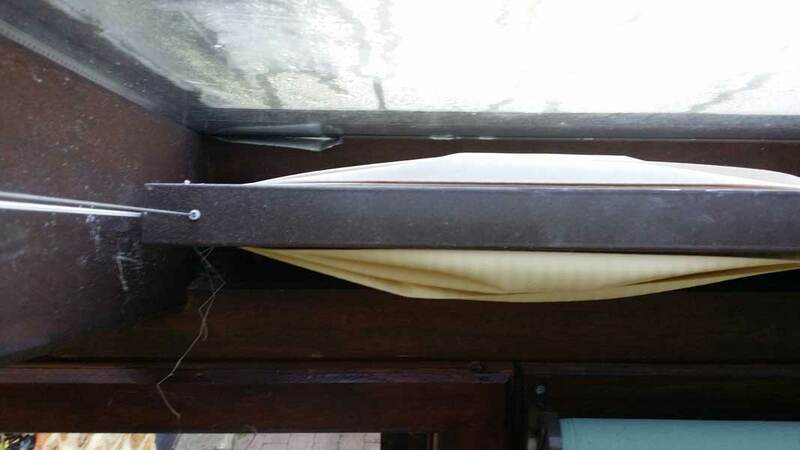 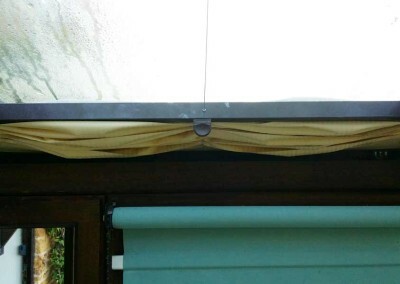 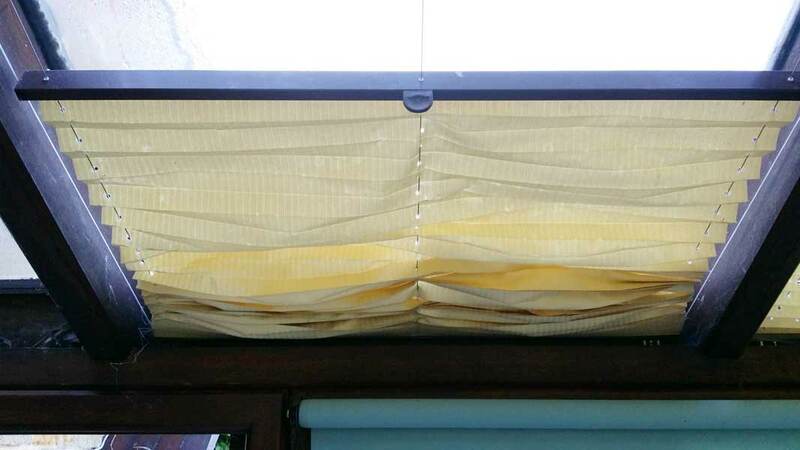 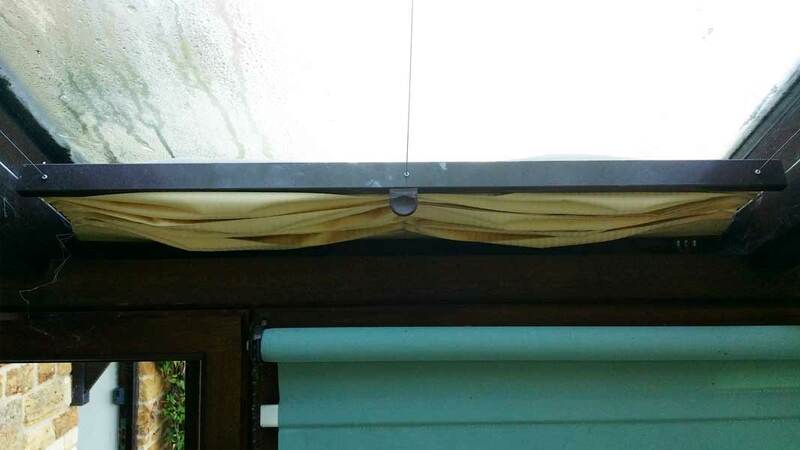 Sagging blinds due to the constant raising and lowering. 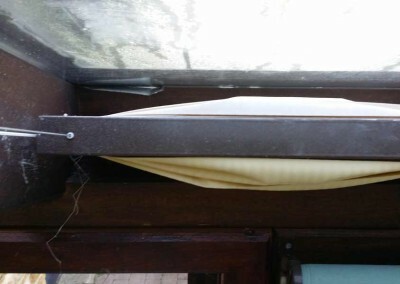 An inconvenience for anyone. 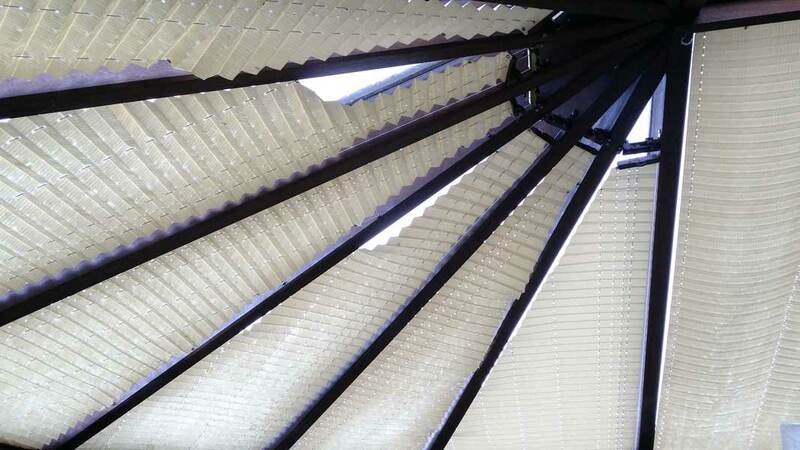 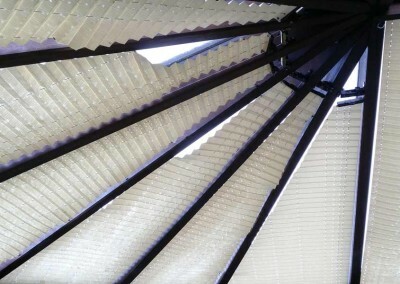 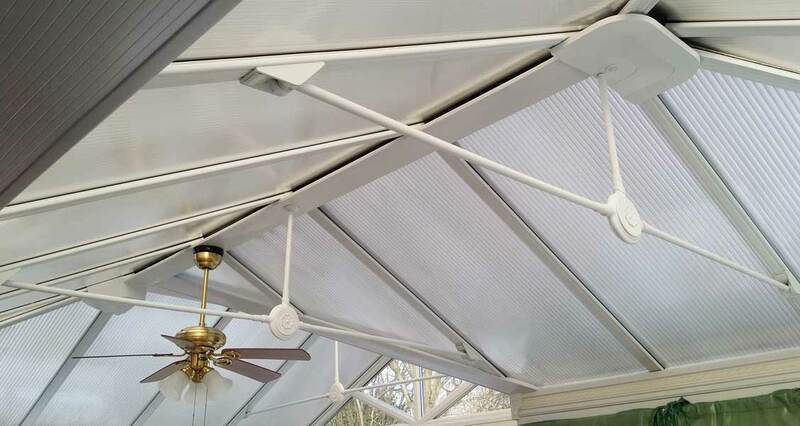 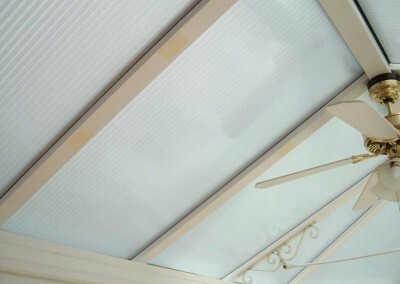 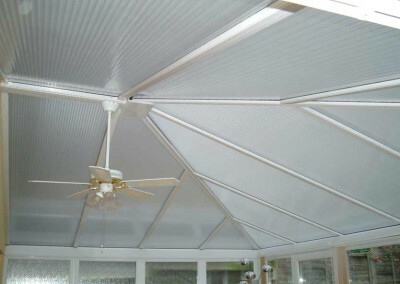 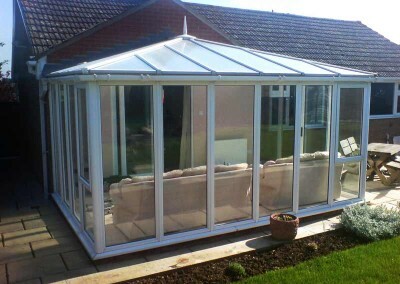 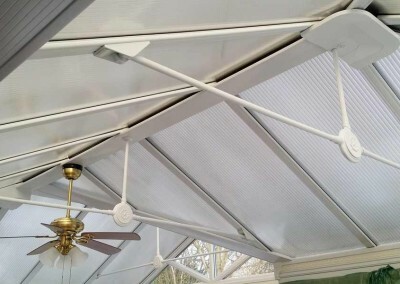 Our amazing polycarbonate film gives a fantastic finish to any plastic roof. 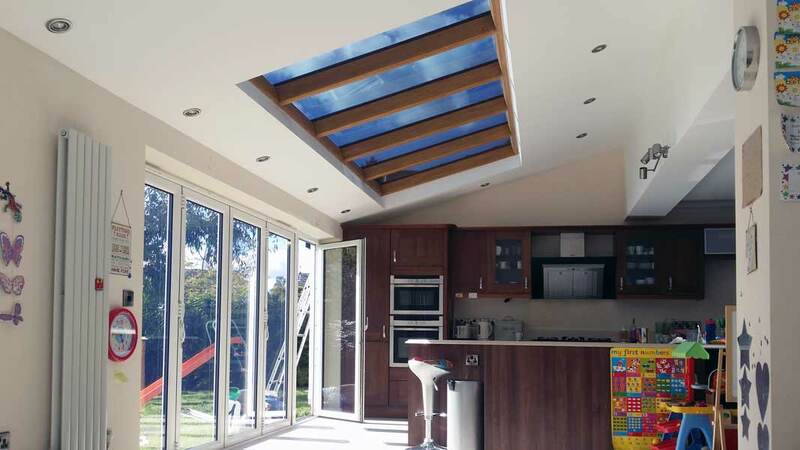 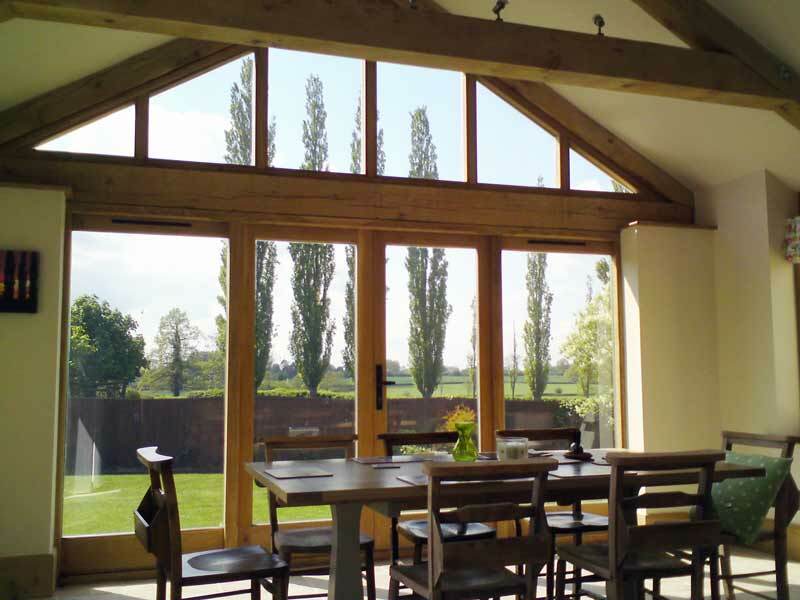 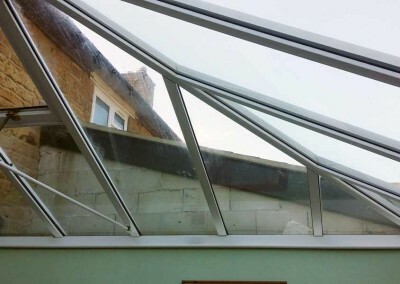 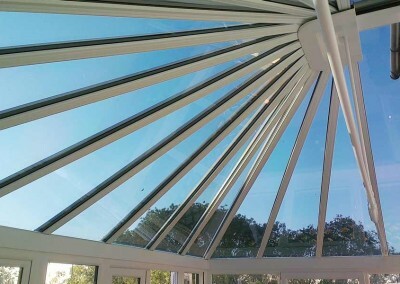 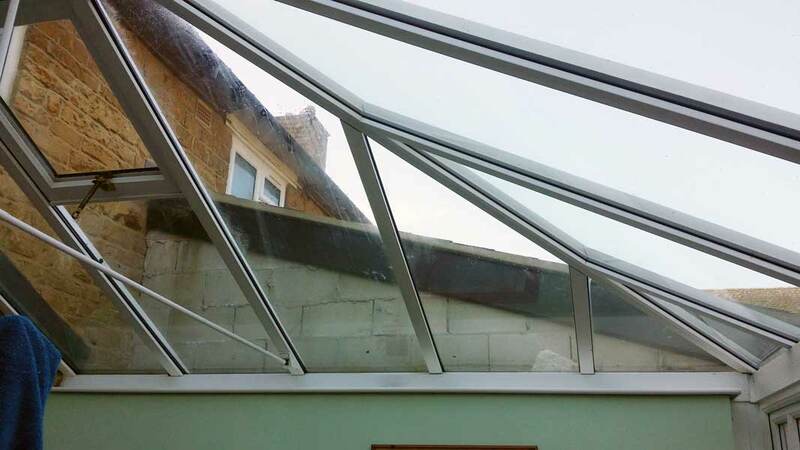 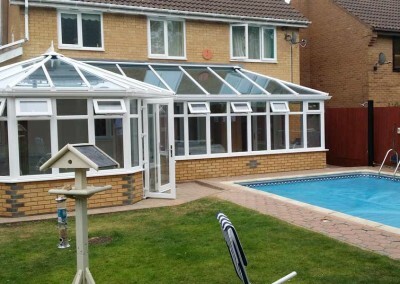 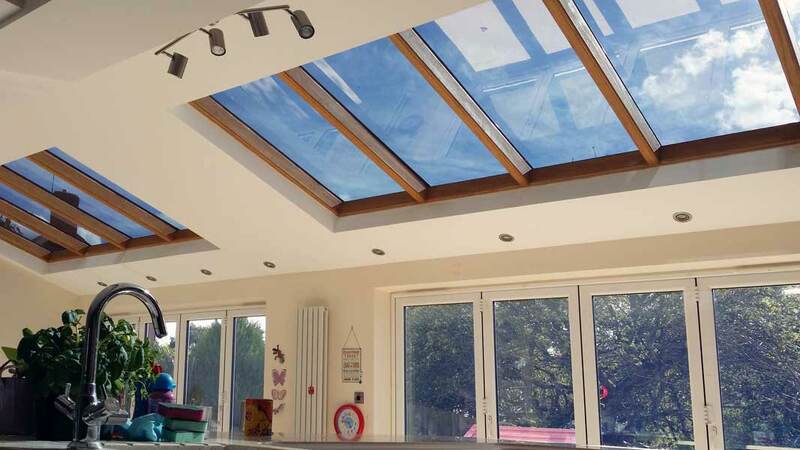 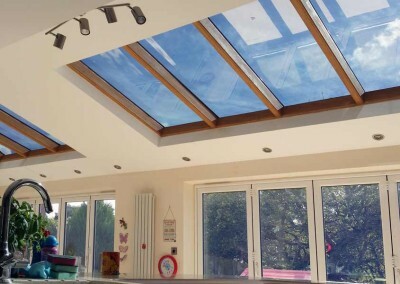 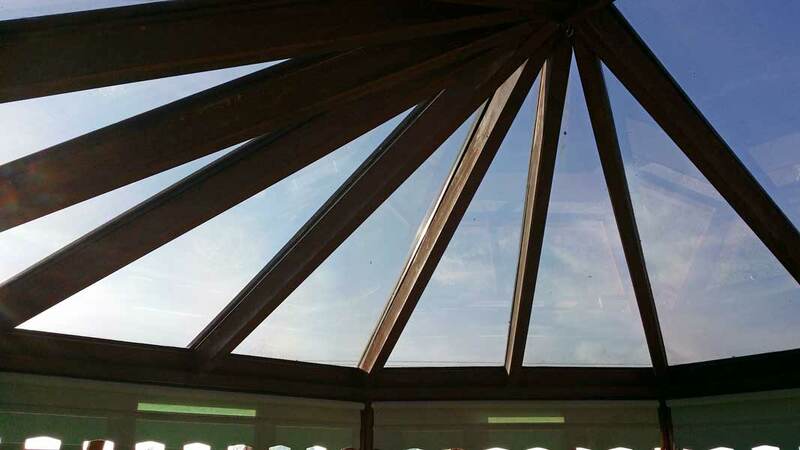 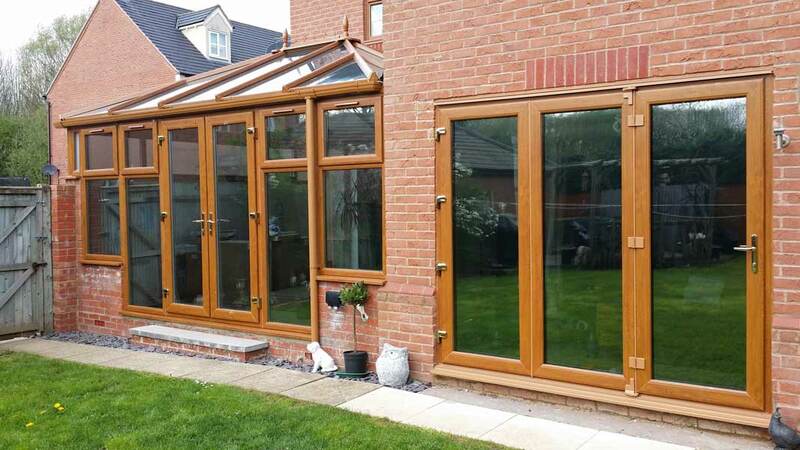 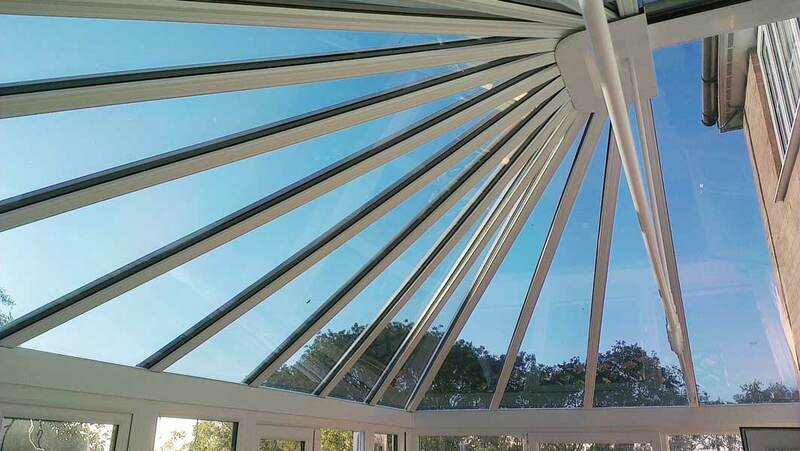 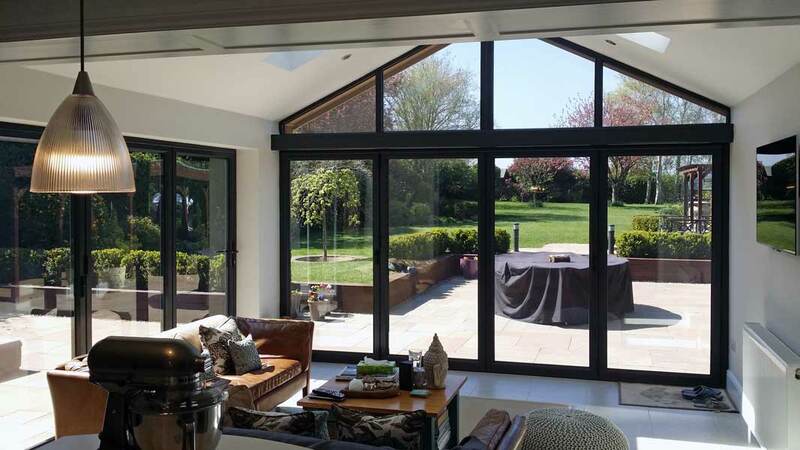 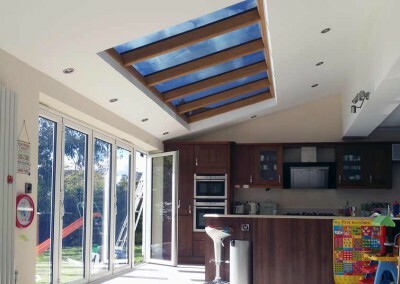 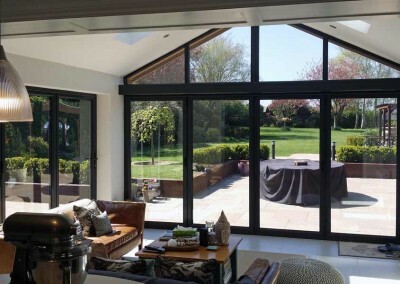 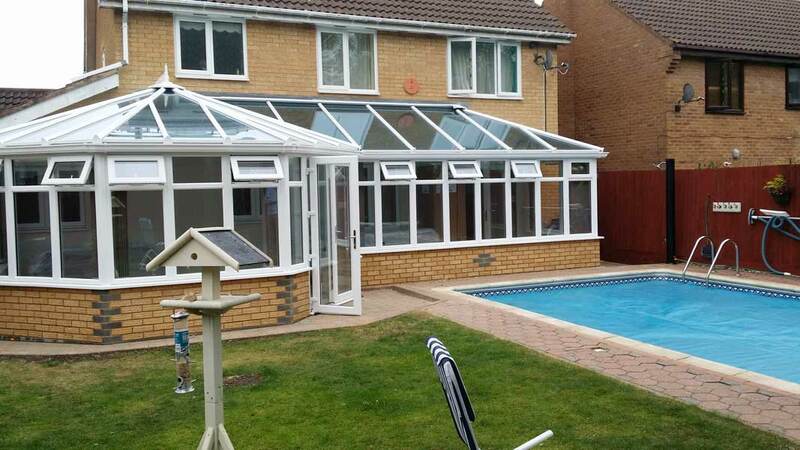 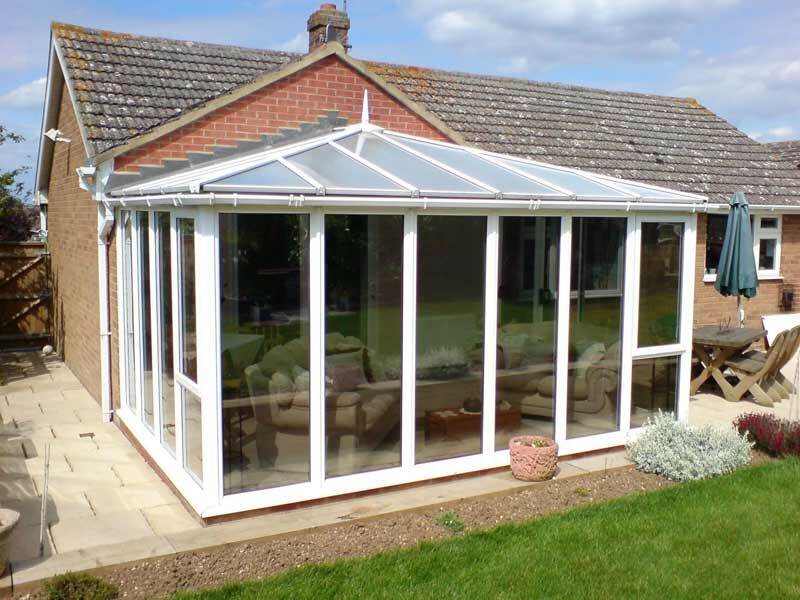 Reflective and mirrored, our films can reject 90% of glare and 76% of excessive heat allowing you to use your conservatory even on the hottest days. 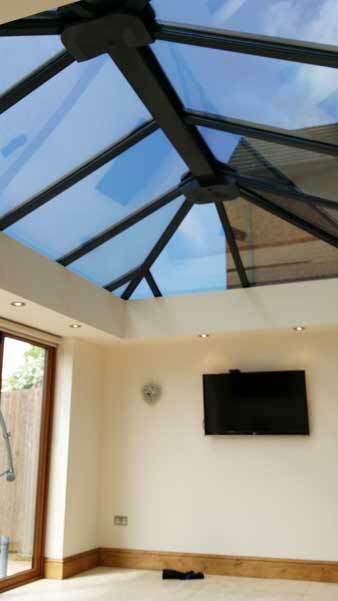 Heat, glare and ultraviolet is rejected by our films but it looks just like standard glass. 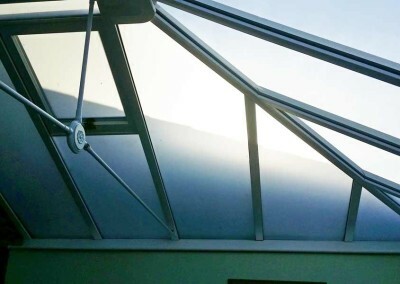 Our fantastic 2 ply film provides a beautiful finish to any roof glazing. 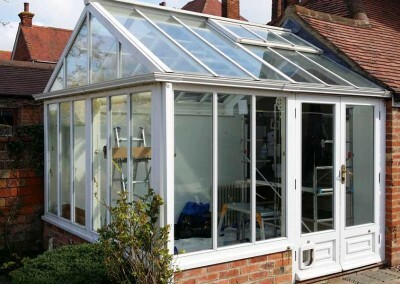 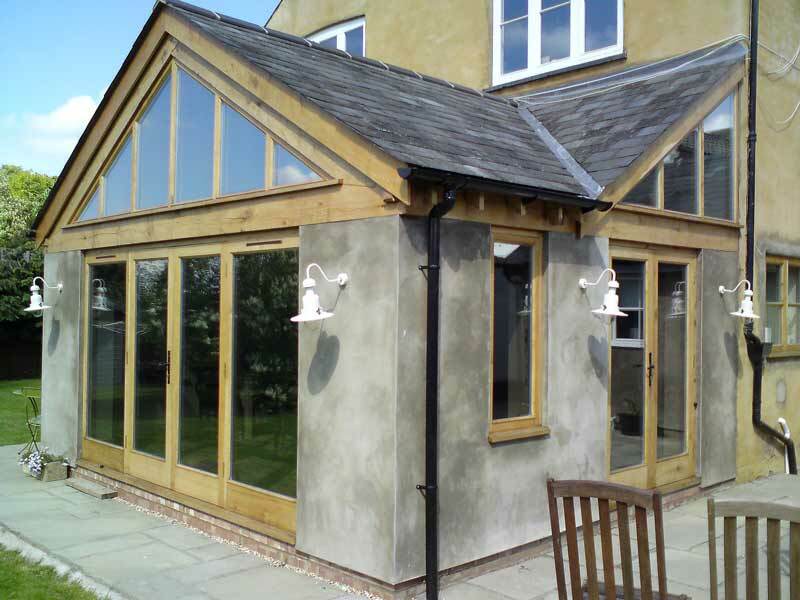 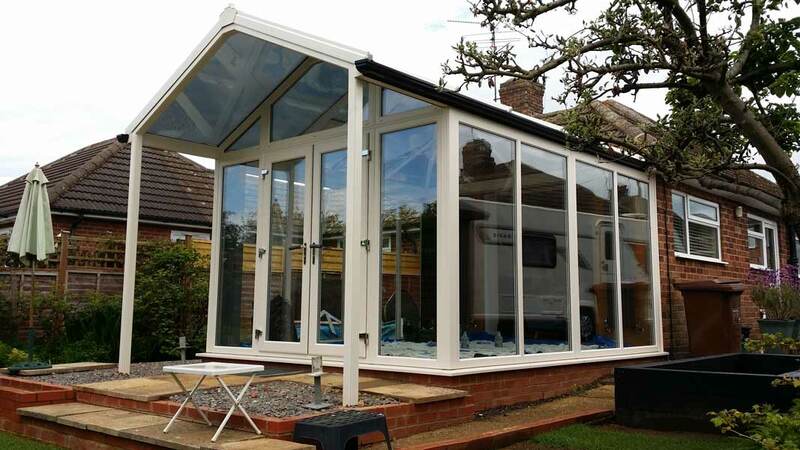 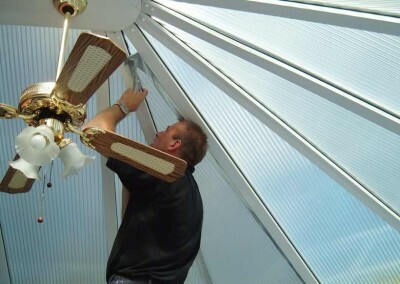 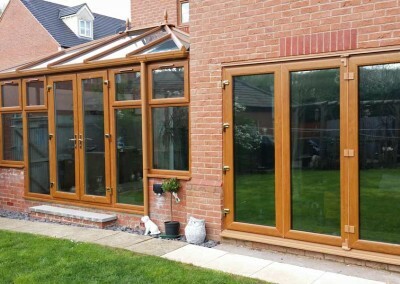 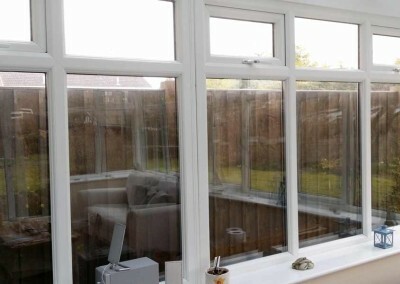 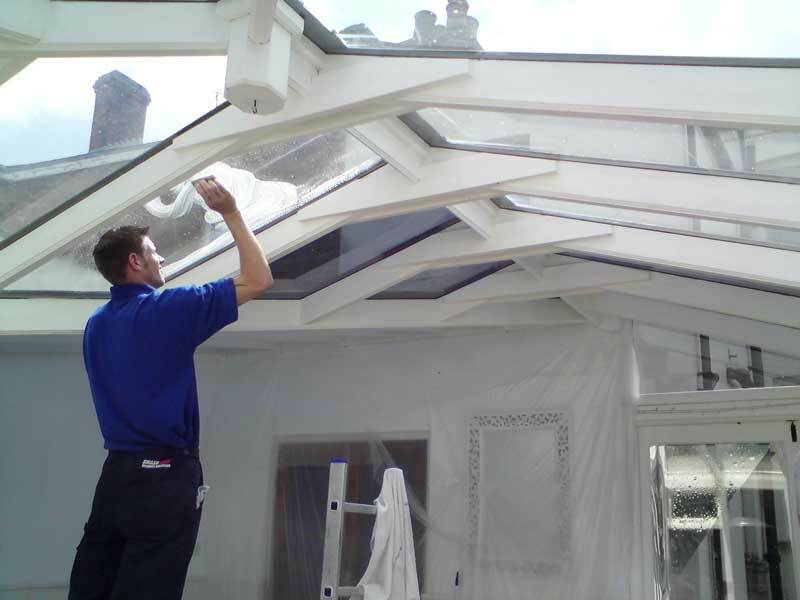 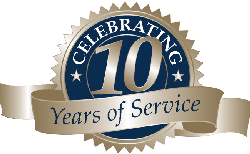 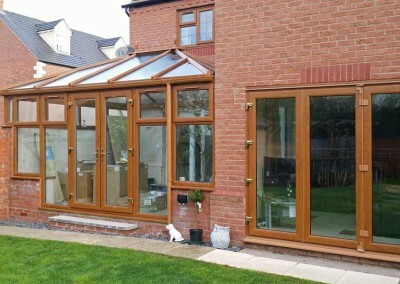 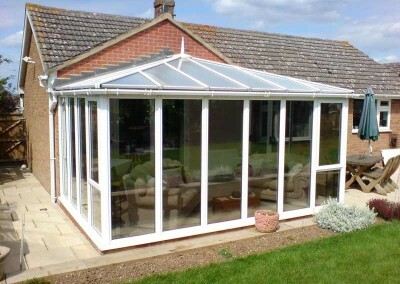 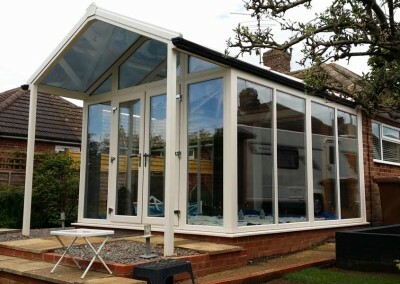 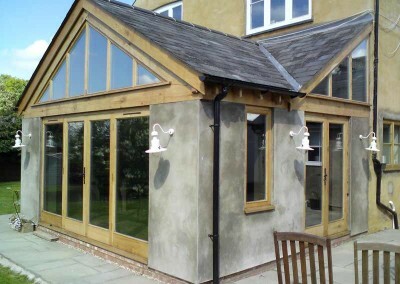 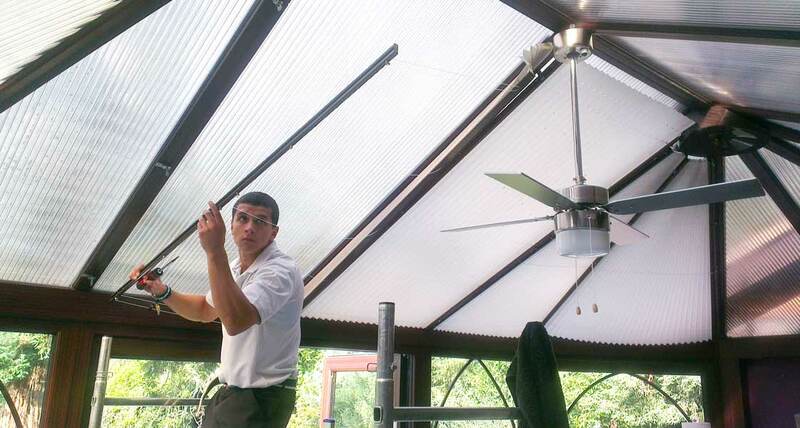 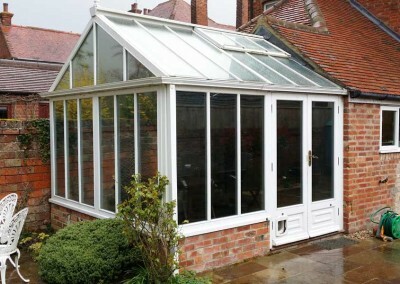 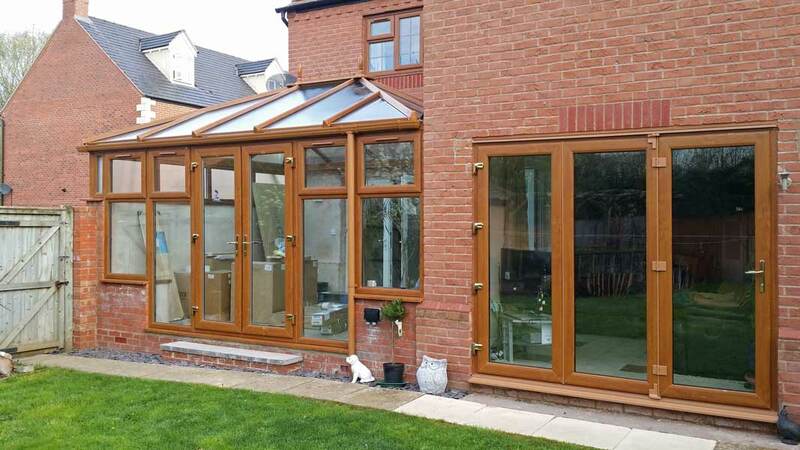 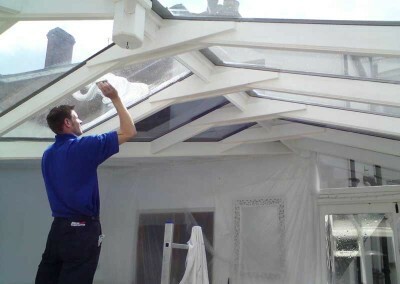 Our installations are professionally carried out by trained installers. 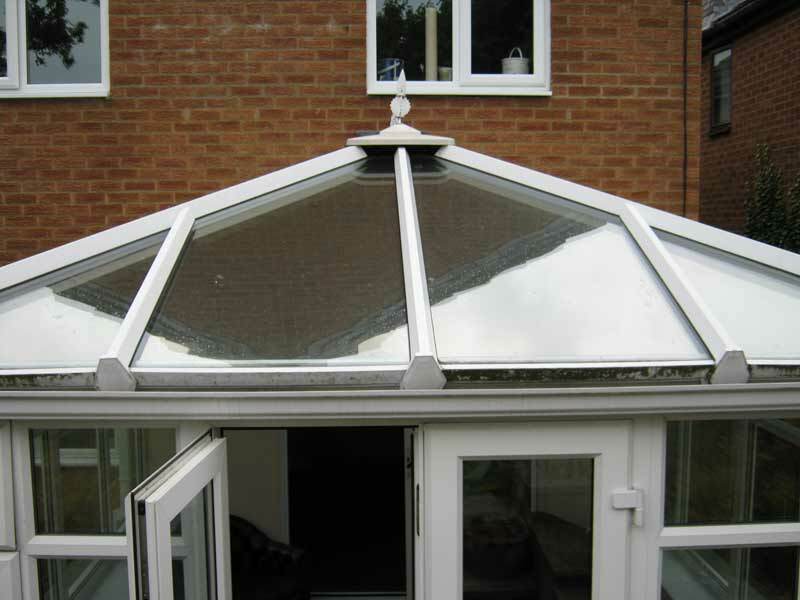 Clean and elegant – our films enhance any roof. 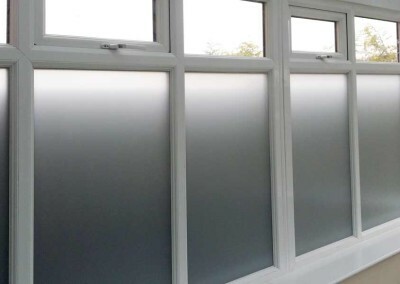 Frosted film to this side glass to hide next door’s fence. 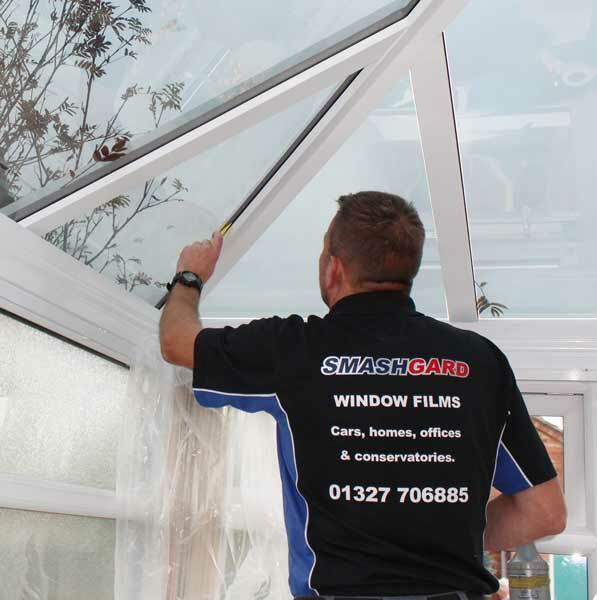 We don’t just stick film on glass. 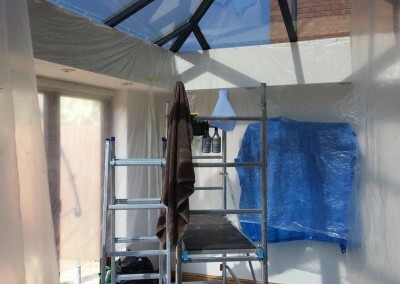 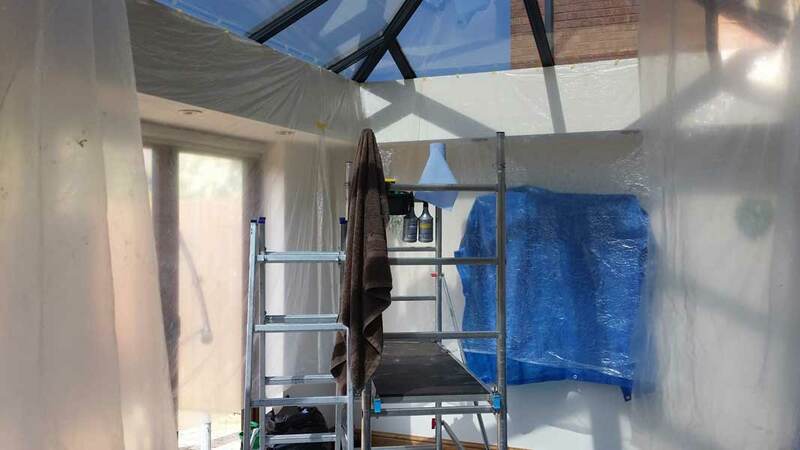 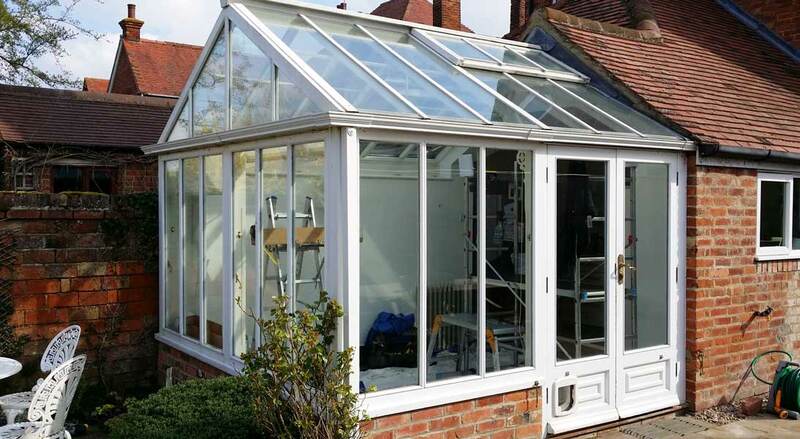 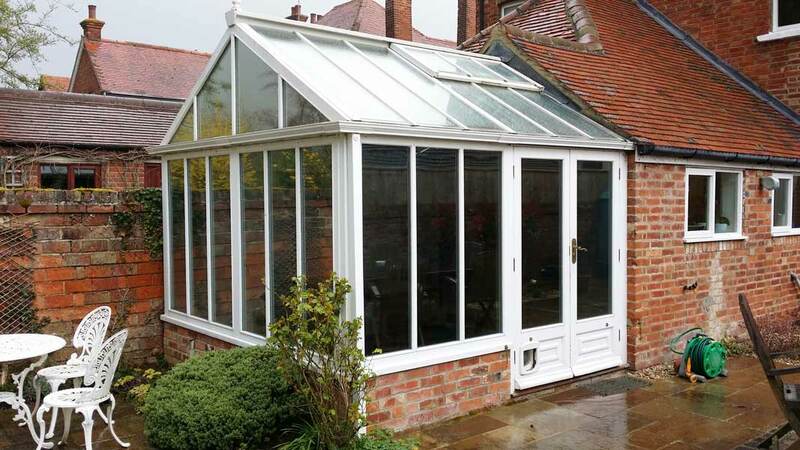 We prepare your conservatory with ground sheets and wall coverings to protect carpets, floors and walls ensuring everything is done correctly and with consideration for your property.